Show your team spirit. Cotton-polyester blend in deep heather color. 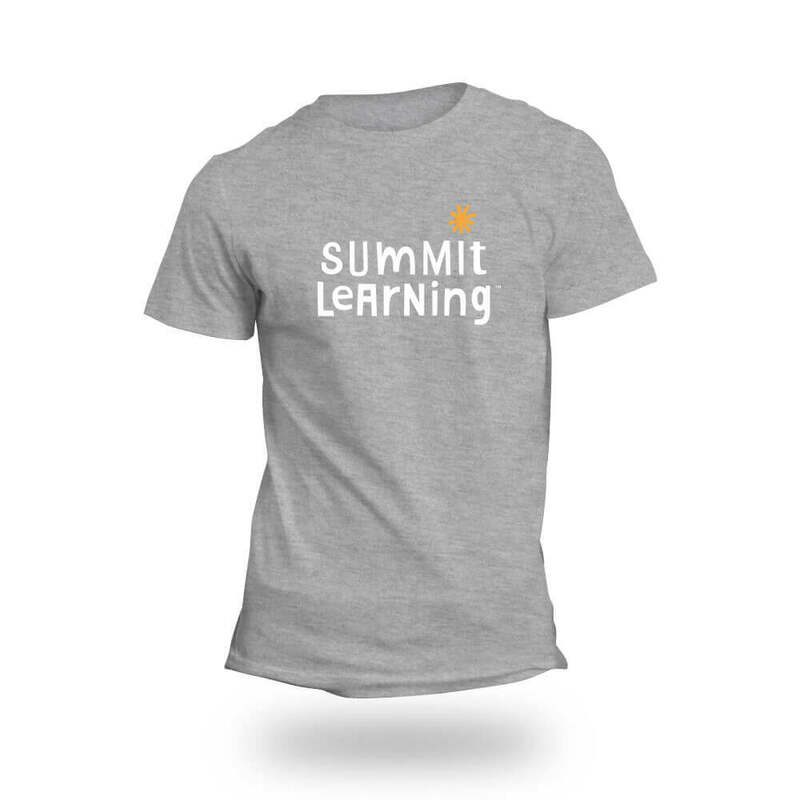 White Summit Learning logo with yellow spark on front chest. Add your school’s logo to this t-shirt. Customize your t-shirts here.